The first week of November we (Chris and Jim) will be attending a conference called Learning 2013. More than 1,600 learning professionals from all over the world will be there to ‘sharpen the saw’ of our profession. The conference is produced by Elliott Masie. Back in 1990 he produced a conference called The Computer Training and Support Conference and Chris was one of his presenters. We consider Elliott to be a top guru in the learning field and we are very excited to be able to attend this event. The primary focus of the conference is workplace learning. We are different in that we teach about personal uses of technology – primarily the technologies that enhances the travel experience, not the work experience. What is different about how you learn now vs. how you learned what you needed for your job? You need a reason. You need to see an immediate benefit. You don’t have the time to learn for learning’s sake. You don’t have a boss to impress by improving your workplace skills. You took a bunch of photos on your trip and you want to share them on a website, now you’re ready to learn Picasa. Or, you need a way to navigate from the campground to a nearby grocery, and back … now you’re ready to learn Google Maps on your smartphone. You need the basics taught without condescension. Today’s technology did not exist when you were in school. It didn’t even exist when you were 30, 40. 50, or even 60. You’re not dumb! These new devices and programs are just that … NEW. You’ve never seen them before; you’ve never seen anything like them before. You need a thoughtful, detailed introduction. You want to have fun. You worked all your life, now you want to have fun. 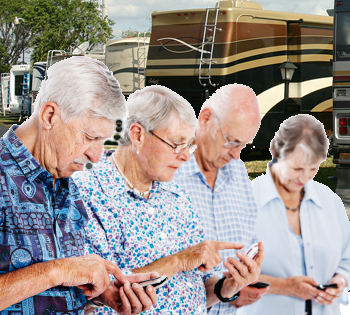 If technology can’t enhance your fun – you’re simply not interested. Do you agree? What else helps you learn? Published by MrsGeek, in Blog. Tagged with #learning2013.